Spied: Is Ford Working On An F-150 Super Duty? Recent spy shots captured of a heavily camouflaged F-150 appear to show what might be a Super Duty F-150 coming for 2018. 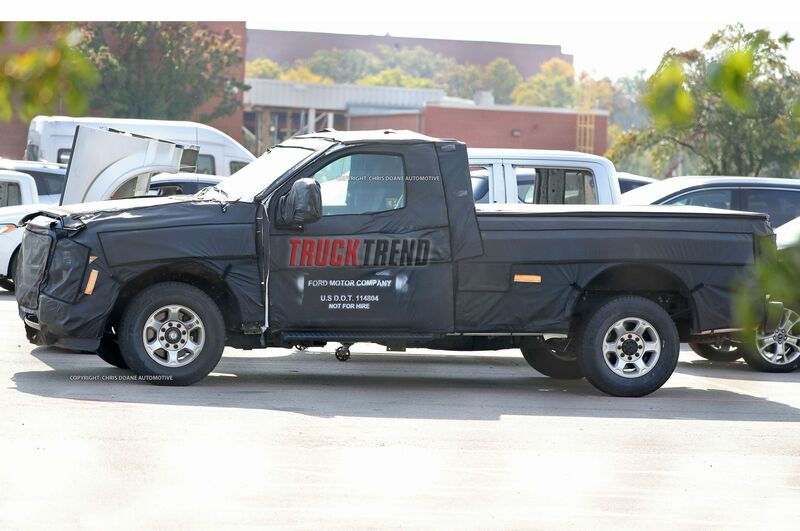 Originally reported on by trucktrend, in recent spy photos captured by Chris Doane Automotive, it looks like Ford is experimenting with the idea of having a Super Duty F-150 come the 2018 refresh. 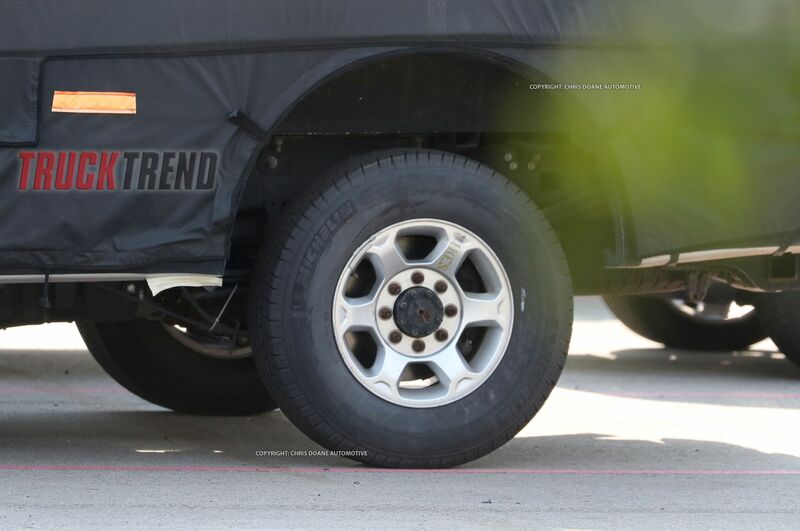 What some industry experts have already dubbed the “heavy half”, these spy photos show what appears to be a two-wheel drive F-150 chassis that has a low ride height and low profile frame. It uses 8-lug wheels which suggest a higher load capacity than standard F-150s. The grille appears to be off of a 2017 F-150 with Super Duty grille elements. Although heavily obscured by camouflage, the top of the grille seems to have the words “Super Duty” written across it. While we know that Ford has been working on an F-150 Diesel model for 2018, this is the first we have heard anything or seen anything indicating that they are working on a “heavy half” pickup truck. While a heavy half has been attempted by other manufacturers with varying degrees of success, Ford has never went after this design. If successful, this could have a large impact on the truck market as the F-150 is America’s leading truck. What are your thoughts on an F-150 Super Duty?